Septic systems and septic tanks are an integral part of nearly 30 million homes in the United States. Yet few home owners are familiar with their use and care. 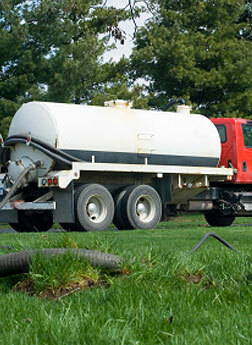 Septic.com will guide you through the maintenance of your septic system and help you find a septic contractor. It will also help you select between the numerous septic alternatives: from a conventional gravity-powered septic system, to an aerobic septic system, above-ground septic tanks, cesspools, and more. Learn more about your local septic regulations, licensing, and permits. We cover every state from Texas to Maine. Are you considering buying a new home that has a septic system? Here are a few questions you should ask before buying a home with a septic system. Nervous about buying a home with a septic system? Here are several reasons why septic is better than town sewer. There are nearly 1200 septic system additives on the market today -- have you ever wondered if they work? We spoke with a number of governmental and academic experts on this topic, and offer the following answer to the question: Do Septic System Additives Work?. The septic industry can be a dirty business, and if a picture is worth a thousand words, you don't want to see these septic system videos. Can you use Drano if you have a septic system? What types of toilet paper are safe for septic systems? Can I install a septic tank if my property has a high water table?